I think this is very important. It’s hard to know where to start, and it’s easy to get overwhelmed. 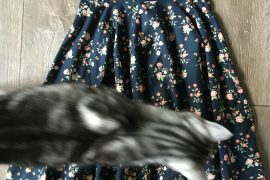 You can see my previous blog post here for a guide to my first few garments. Make a muslin… or two… or three. A muslin, also called a toile, is made with cheap fabric (I usually use cotton muslin I buy for $.99/yard). Muslins are primarily used as a means to test the fit of the pattern and make alterations. Look at where your muslin is wrinkling, and think about what can be done to remove that. Wear the muslin around the house for a bit to make sure it’s comfortable. And for the beginning sewist, muslins are also a great way to familiarize yourself with a pattern and to practice the new techniques it requires. From fit to techniques, the internet is a wealth of helpful articles and videos! 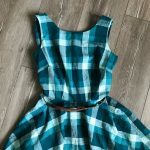 Many indie pattern companies have sewalongs or blog posts about some of their patterns, particularly for tricky bits in beginner patterns. I also use various blog posts to figure out fit issues often. 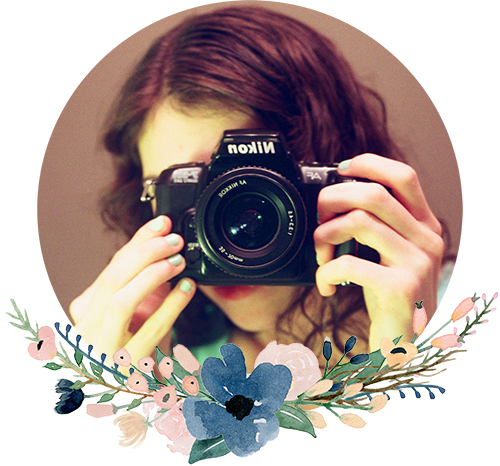 I do a lot of different crafts, and I’ve found the sewing community to be extremely helpful, kind, and inspiring! At this point I would say at least 2/3 of the people I follow on Instagram are sewists! When I have a question Google can’t answer, I ask on Instagram, and I usually get a lot of helpful advice. I also use Instagram a lot to find new patterns, fabrics, and inspiration. There are a lot of places you could do this, but Instagram is the big one for me! Pay attention to fabric types. This is a hard one. 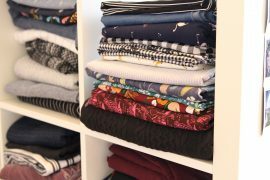 Any pattern you buy will have a list of recommended fabric types, and that list can be overwhelming. Focus on a couple recommended fabrics, and start there. Eventually you’ll learn what fabrics you like to work with and how they hang. A pattern can look completely different with different fabrics, which can be both scary (the unknown!) but also exciting (you can make the same pattern several times and have very different results!). Alter your pattern, not just the garment. I learned this the hard way. Sometimes at the end of a project I make some adjustments to the nearly-completed garment without measuring or making any notes. I regret that later when I want to make the garment again but either can’t remember what I did or don’t have any clear markings. If you take an inch off the sides of the garment, make sure the pattern reflects that. Simple! But it’s a step I skip over and over. Keep extra needles and thread on hand. Picture it: You’re sewing away on a Saturday night, glass of wine next to your machine, in the middle of a long seam. You have just enough time to finish the project and wear it tomorrow. Suddenly your machine shakes, and you see you’re out of black thread. No more sewing tonight! You’ll have to make a trip to the store just for one small spool of thread to finish the project. I keep an extra spool of my most-used colors on hand for moments like this – white, black, dark grey, light grey. I also keep extra needles of different sizes. You never know when a needle will break, and you’ll also want some different sizes for different fabrics. Build what you want to wear! What garments do you own that make you feel good? What garments have you always wanted to buy in stores but can’t find? Make those things. You have the opportunity to create a bespoke wardrobe custom-made for your body and your tastes. You’re probably familiar with the “Big Four” pattern companies: Butterick, McCalls, Simplicity, and Vogue. 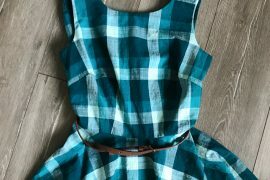 These patterns are fine and well, but I’ve found indie pattern companies to be easier for beginners. Indie companies often have much more detailed instructions. 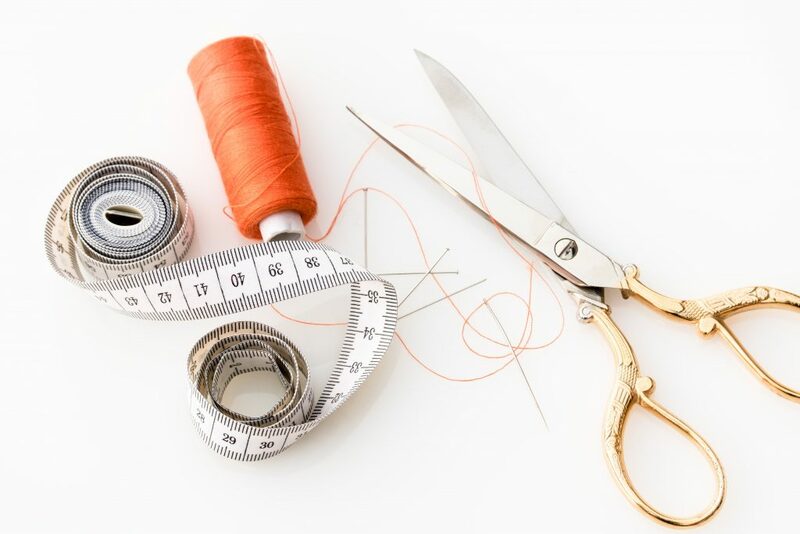 You can also often find sew-alongs, helpful articles, and useful videos posted on their websites. And if you want help or advice, you can reach out to the indie designers directly to get their input! 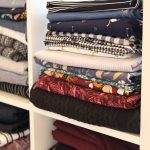 Two of my favorite websites to browse patterns are Indie Sew and The Fold Line. The Fold Line has an extensive database of patterns, including those from big four companies, which you can filter by various features. Follow your favorite indie designers on social media and sign up for email lists so that you can keep up to date on new releases and sales! If you live in the US, you should almost never have to pay full price for a big four pattern. Joann and Hobby Lobby both regularly have patterns on sale. I’ve bought Simplicity patterns for 99 cents! Just plan ahead (I keep a list of patterns I’d like to buy), and check sales regularly. I’ve found that McCalls and Simplicity go on sale the most.